. "Bilingualism". The Canadian Encyclopedia, 24 February 2015, Historica Canada. https://www.thecanadianencyclopedia.ca/en/article/bilingualism. Accessed 20 April 2019. Bilingualism is the ability to speak or write fluently in 2 languages. In Canada the term has taken on a more particular meaning: the ability to communicate (or the practice of communicating) in both of Canada's official languages, English and French. It has been formalized in language policy in an attempt by government to respond to a difficult social question: to what extent is it possible to make legal and practical accommodations that will allow the 2 official language communities to preserve their cultural distinctiveness and at the same time pursue common goals? "Institutional bilingualism" refers to the capacity of state institutions to operate in 2 languages and should not be confused with a requirement that everyone be bilingual. Historically, institutional bilingualism has recognized the facts of Canada's settlement and development. Implicit in the founding of the Canadian federation was the idea that the English- and French-speaking communities should not only coexist but should complement each other. The British North America Act of 1867 established English and French as legislative and judicial languages in federal and Québec institutions. It also set out the right to denominational schooling, which at that time was closely associated with the anglophone (Protestant) and francophone (Roman Catholic) linguistic and cultural traditions. The development of the bilingual and bicultural nature of the Canadian federation soon experienced setbacks, partly as a result of the uneven application of principles and partly from a simple lack of linguistic tolerance. Although the British North America Act and the Manitoba Act (1870) accorded the French language official status in Québec and Manitoba, no such recognition was granted to the substantial French-speaking populations of Ontario and New Brunswick. Furthermore, in the late 19th and early 20th centuries, a series of legislative enactments across Canada seriously restricted French-language education and virtually eliminated the use of French in provincial legislatures and courts outside Québec. See French in the West. Although the effects of these and other measures understandably linger in the minds of many Canadians, Canada has, since WWII, found a new concern for the official status of English and French and the destiny of minority language communities throughout the country. At the same time, demographic patterns, and particularly the tendency of francophones outside Québec to become assimilated to the English-speaking community, have increased the polarization between the official language groups. This in turn has brought attention to the relationship of linguistic justice and national unity. Increasingly the enhancement of the French language and culture in Canada and a reaffirmation of the rights of the English language and culture in Québec are seen as fundamental to maintaining a reasonable degree of national integrity. The problems and demands of bilingualism within the national framework were clearly set forth by the Royal Commission on Bilingualism and Biculturalism (1963-69). Central to the Commission's recommendations was the premise that the English and French minorities throughout Canada, when of reasonable size, should be ensured public services in their own language and afforded as much opportunity as possible to use their mother tongue. The Commission also urged that French become a normal language of work, together with English, in the federal administration and that government documents and correspondence be generally available in both languages. Moreover, the Commission stressed that there was room within an officially bilingual state for other forms of linguistic and cultural pluralism, so that bilingualism and multiculturalism might complement each other. The Commission's work culminated in the adoption of the federal Official Languages Act (1969) (see Official Languages Act (1988)), designed to be the cornerstone of institutional bilingualism in Canada. The Act, which declares the "equality of status" of English and French in Parliament and the Canadian public service, applies to all federal departments, judicial and quasi-judicial bodies, and administrative agencies and crown corporations established by federal statute. In addition to prescribing federal reforms and establishing the office of Commissioner of Official Languages to see that they are carried out, the Act has prompted initiatives beyond the federal administration. With encouragement and financial assistance from Ottawa, provincial governments and parts of the para-public and private sectors have begun to re-examine their linguistic policies, at least in the services they offer, and have made some effort to pursue a policy of institutional bilingualism. 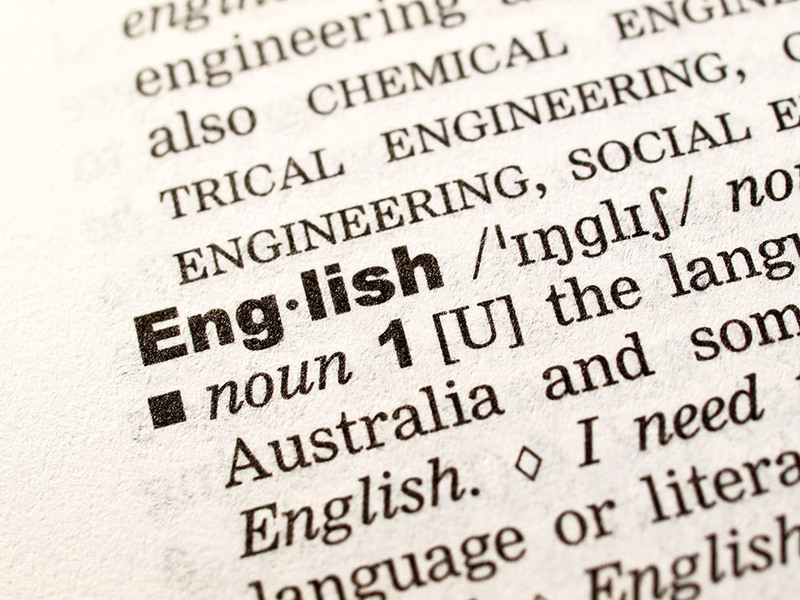 A new act was adopted in 1988 (see Official Languages Act (1988)). The success of any Canadian policy on bilingualism is closely tied to the co-operation of the provinces. Provincial powers in the fields of justice, public services and education can be influenced only indirectly by federal policies. To complete the picture, numerous administrative, judicial, social and educational services need to be provided by municipal and provincial authorities in regions where there are large minority-language populations. 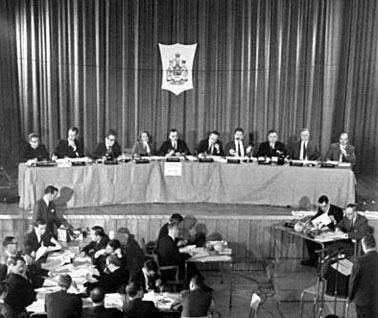 New Brunswick passed an Official Languages Act in 1969, giving equal status, rights and privileges to English and French; since the early 1970s, Ontario has increased the use of French in its courts and has passed a bill guaranteeing French services in those areas of the province where the majority of Franco-Ontarians live; and Manitoba, as a result of a 1979 Supreme Court ruling, is moving towards the translation of its statutes into French and the transformation of its courts into bilingual institutions. The extent of Manitoba's compliance with its constitutional requirements has become the focus of a heated political debate both inside and outside the province, and in 1985 the Supreme Court of Canada gave the province 3 years to translate its laws. Québec has recognized French as its sole official language since 1974. Although a number of government services are available in English (usually on request), the province has the peculiarity of being institutionally bilingual at the constitutional and federal levels while giving official recognition only to French at the level of provincial institutions. All provinces, helped to some extent by the federal Official Languages in Education Program, now have minority-language education programs. Furthermore, second-language instruction has made remarkable gains across Canada, most conspicuously through the expansion of French-immersion programs in primary schools. In April 1982 the Canadian Charter of Rights and Freedoms came into force. The Charter reinforces previous constitutional principles regarding language use in federal courts and the courts of Québec and Manitoba, reaffirms the availability of bilingual services in the federal administration and confirms New Brunswick as the only completely bilingual province. It also breaks new ground by entrenching minority-language education rights in Canada, guaranteeing the right of children of Canadian citizens who find themselves in an official-language minority situation to an education in their own language wherever numbers warrant it. This guarantee represents a recognition that minority language education rights may be the key to the survival of minority language communities across the country. The principles of NB law establishing the equality of its 2 official language communities were enshrined in the Charter in 1993. The Charter defined what was possible at the time of its enactment in the realm of institutional bilingualism, but its provisions may be developed and extended. The leadership of federal and provincial authorities in this respect is essential to achieving the underlying goal of language reform in Canada: the possibility for individuals of either anglophone or francophone background to move from province to province without forgoing their fundamental language rights and cultural identity. See also Francophone-Anglophone Relations; Cultural Dualism. Canada, Commissioner of Official Languages, Annual Reports; Royal Commission on Bilingualism and Biculturalism, Report (6 vols, 1967-70).